is a great source of technology that you can use in the classroom. It is also a great tool to use within iPad workflows. Here are some tips on how you can incorporate Edmodo into your class. 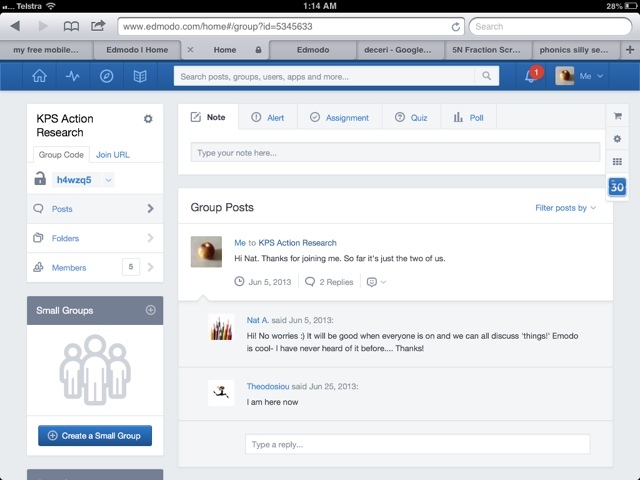 Be aware that this is not even scratching the surface of Edmodo's possibilities. 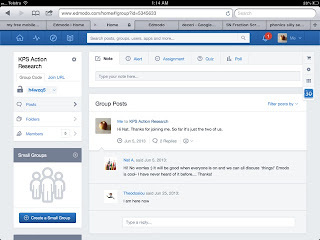 You need to sign up initially through the browser version at www.edmodo.com as a Teacher. Then create a class and supply students with a code to join the class. Students also have to sign up as a Student in the browser version.